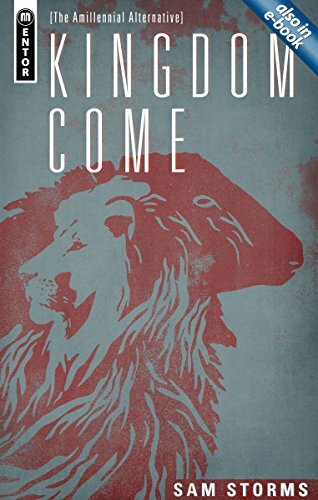 It has been no light matter looking at the other parts of Sam Storms' Kingdom Come. The coming chapters are no easier as they span the gulf that is the book of Revelation from the amillennial perspective. No book has caused more trouble to Christians throughout the history of the church. What Storms puts forth is not new but certainly a valuable element of his systematic presentation of amillennialism. This is one of the chapters that you just need to purchase the book and read. There is no way to compress this information into brief sentences or paragraphs. That said, individuals familiar with the multiple variants of idealist interpretations to the book of Revelation should in fact be familiar already. The "chronology of the seals, trumpets, and bowls" dominates tis chapter (394-406). I will make a couple remarks concerning formatting: it's poor. I simply did not feel confident that the format properly expressed the arrangements described in the text. It is entirely possible that they did but then it was not adequately described in the text itself how to understand the graphical information being provided. It is here once again the Storms presents a strong affinity for the preterist paradigm (412- 422). He goes so far as to say "I feel drawn to this position, although I'm not yet persuaded" (413). He, as well as I, wonders if the forthcoming commentary of Kenneth Gentry will persuade him. This openness is refreshing but at the same time really weird in a book defending amillennialism of the idealist variant. I appreciate the willingness to put these ideas in front of people but they don't get responded to as definitively as some non-preterist readers will appreciate. At the same time, readers unfamiliar with preterism might be confused as to why these portions are even being included. This is the chapter where Storms gets to meat of his actual position. Let that sink in. One of the best elements of Kingdom Come is it thoroughness. And yet it take until the 423rd page to begin to address (from the positive perspective) the view that Storms himself actually holds. This is a major oversight. The majority of Kingdom Come until this point as really been focused on disproving premillennialism. While the material is absolutely great, one must consider that the ordering of these chapters should be mixed up to provide Storms' amillennialism to shine through more quickly. In particular, it is here that one realizes the Storms promotes a unique brand of amillennialism. His views is not that all saints currently reign but that "Revelation 20:4-6 refers to the present reign of the souls of deceased believers with Christ in heaven" (425). 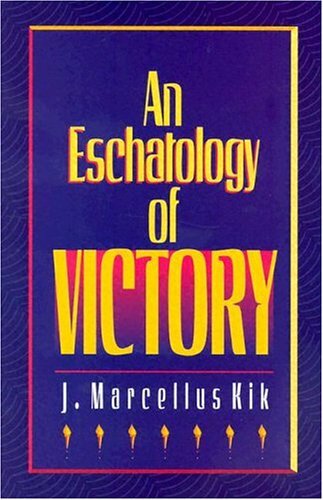 To be quite honest, I have not even consider this position an option since reading J. Marcellus Kik in An Eschatology of Victory. Perhaps as a sign of my ignorance, I did not even realize this amillennial position still had adherents. Nevertheless, Storms is valuable to read on the conflict in Revelation 19-20 being chronological (431-437) as well as the binding of Satan in general. I must admit, that the one argument that goes unaddressed and particularly powerful to me comes from the historic postmillennial camp. It seems strange to tie the "binding of Satan" to Christ's death and victory on the cross if this victory is to be overturned at the end of the 1000 year reign. At its root, there is a disconnect not often addressed by "realized eschatology/millennial" positions and Storms' particular view seems to take the worst of the brunt. It is here that Storms lays all of his cards on the table. He is adamantly attached to Kline and Hoekema in his approach to the first resurrection of Revelation 20 (451). I do not seek to ruin the value of this chapter so individuals will just have to read it for themselves. But there is an excellent section discussing the similarities of Revelation 6:9 with Revelation 20:4. The reason this is pertinent is that if the preterist position is true (something Storms himself says is compelling), then Revelation 20 takes on quite a different perspective. I am aware of multiple postmillennial teachers who have gone so far as to say the "millennium" of Revelation 20 was strictly for the Christians of the AD 70 timeframe. Far from denying a future fulfillment of Christ's return and our bodily resurrection, these individuals flirt a little to closely to full-preterism for my taste. Nonetheless, it seems as if Storms' exposition of Revelation 6 and the power he brings into Revelation 20 might be severely challenged by orthodox (as oppose to full) preterism. Still, most of this chapter concerns itself with disproving premillennialism. It does so very well while providing some fascinating alternative views as "addendums" to the chapter. The view put forth by Hughes and Norman Shepherd is thought provoking (466-469). Likewise, Storms' response to George Ladd (469-471) is a valuable read. Next time I will finish off this blog series through Kingdom Come and wrap things up in a manner that leads into my final review.